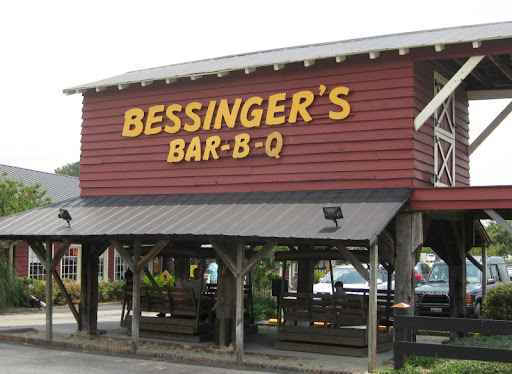 Driving into Charleston from Savannah took us past Bessinger's. 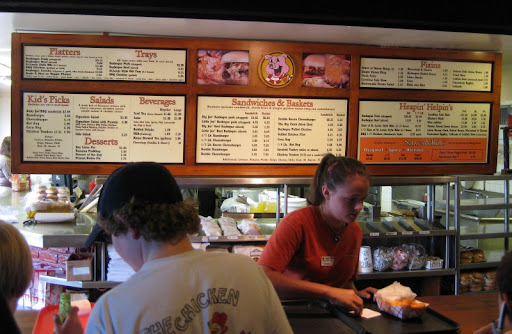 We were hungry and interested to try South Carolina Barbecue, so we stopped in. 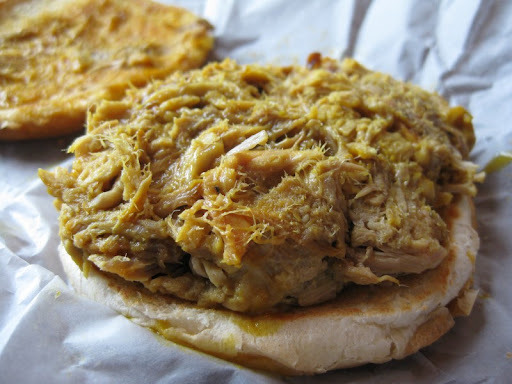 Southern Carolina barbecue is known for it's mustard-based sauce. Neither of us is a big fan of American yellow mustard, so we tried it with some trepidation. The pork was good, but nothing particularly special. 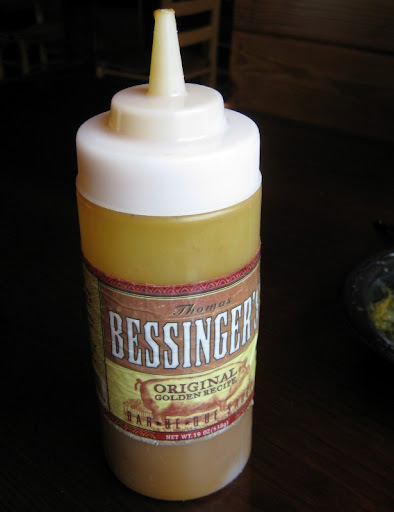 The sauce was less mustardy than expected - more of a vinegar taste, and we had no problem with it at all. We also tried a few sides. 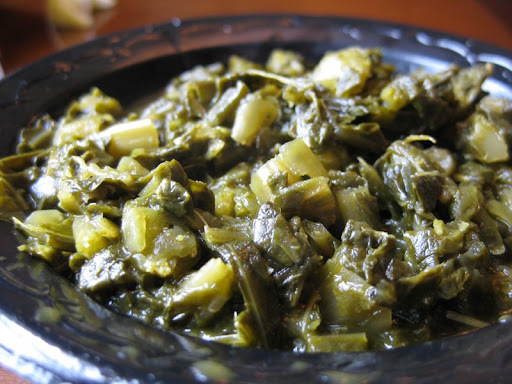 I think this was my first time trying collard greens, so I'm definitely no expert. I really didn't like these - they had an unpleasant, twangy, bitter taste. 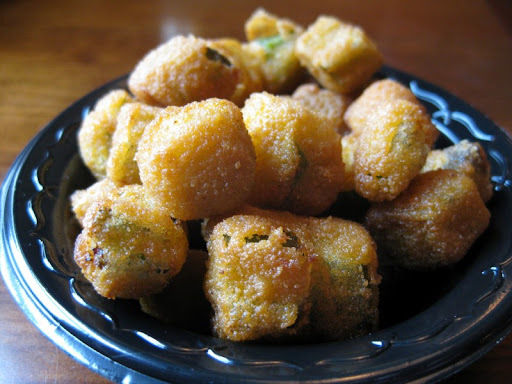 The fried okra was better, but mostly just tasted like "fried". Overall, Bessinger's was an ok lunch stop, but nothing like the revelation we had eating barbecue in Lockhart, Texas at Kruez Market and Smitty's Market.